Visualising Palestine (VP) uses public information about life in Israel and Palestine to expose the damaging effects of the occupation. For example, by creating a visualisation based on bus transport networks, VP brings attention to the severe restrictions on mobility that Palestinians experience. 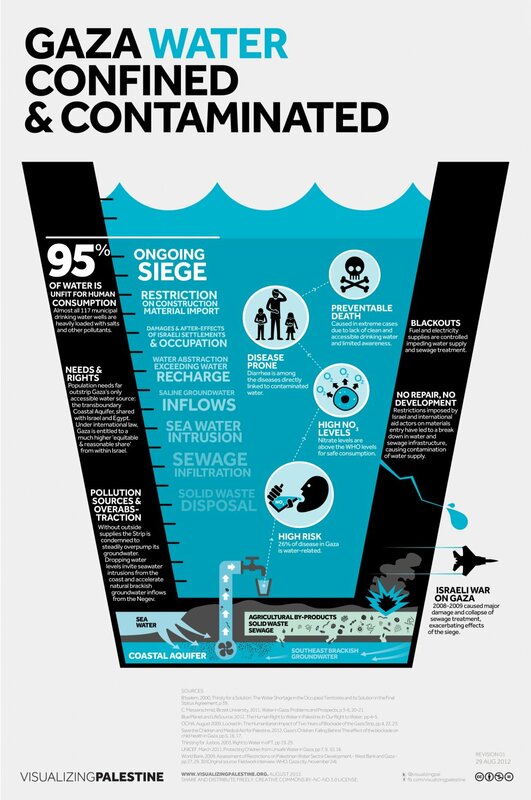 An infographic about the physiological changes that occur during fasting and hunger strikes compares and contrasts the hunger strikes by contemporary heroes like Nelson Mandela and Mahatma Gandhi to draw focus to the 66 day strike by Khader Adnan, a Palestinian held by Israel for being detained without official charges. The work of Visualising Palestine presents a new take on a longstanding conflict through the use of a strong evidence-base and new information visualisation tools.